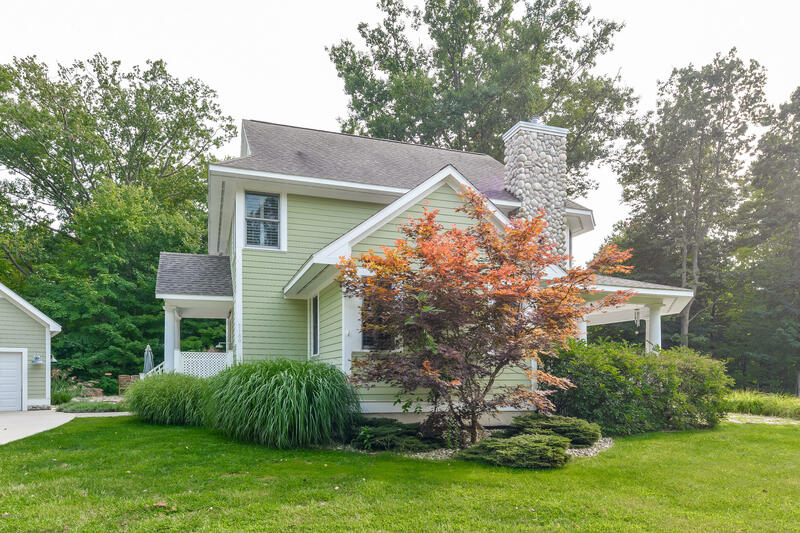 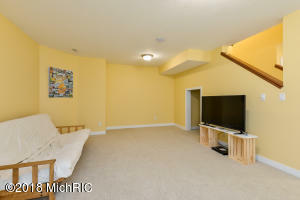 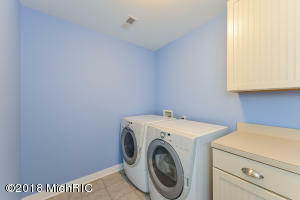 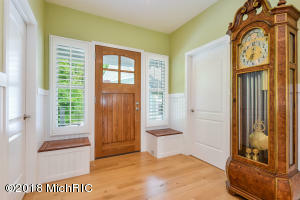 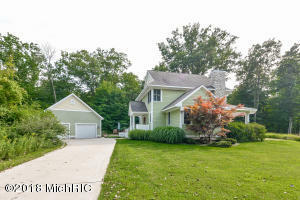 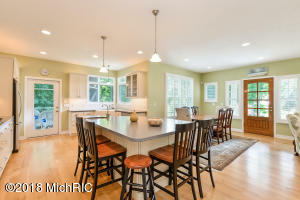 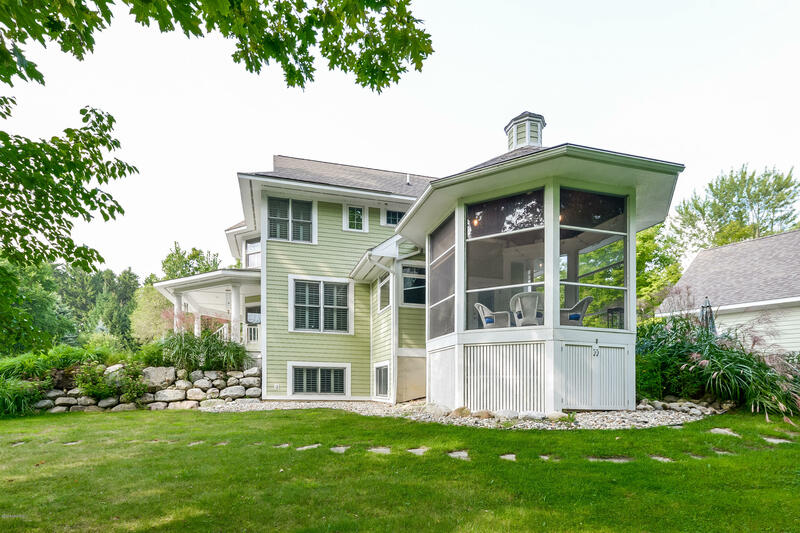 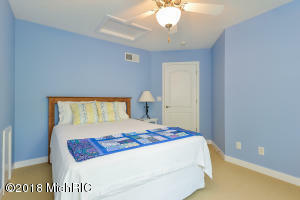 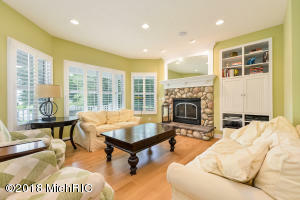 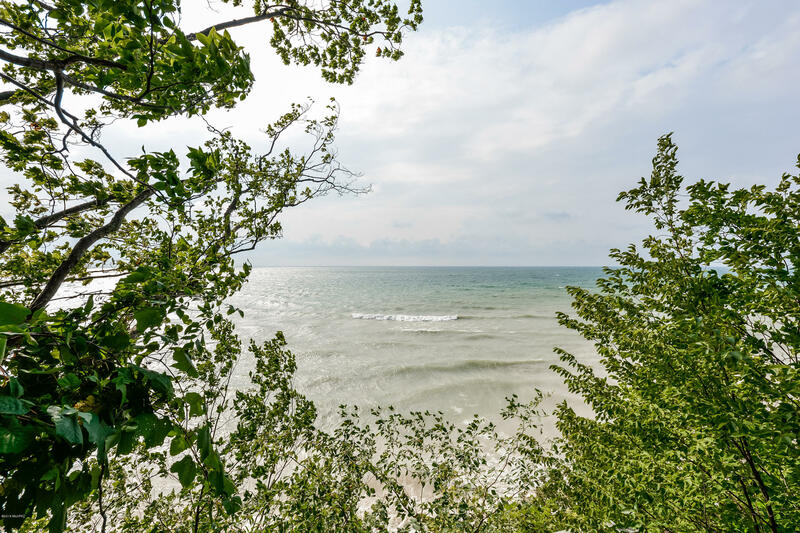 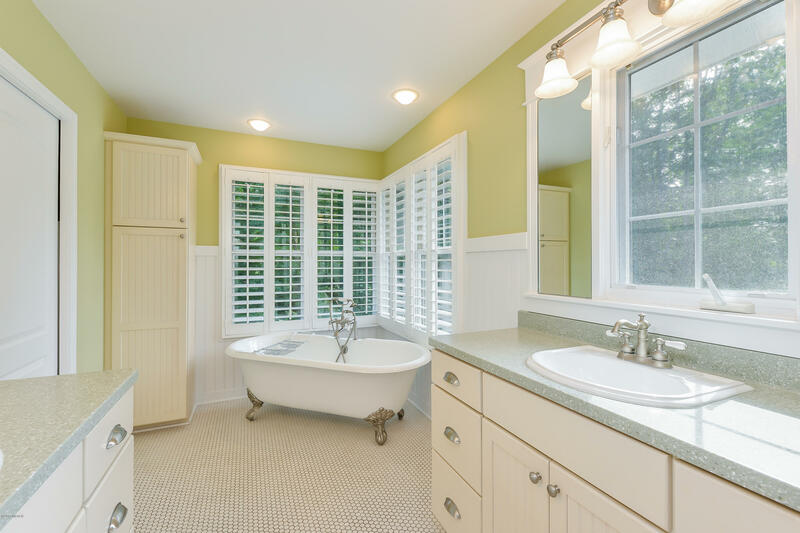 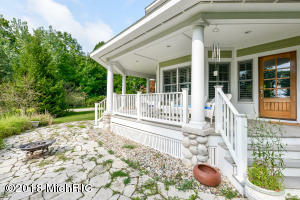 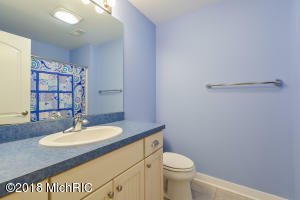 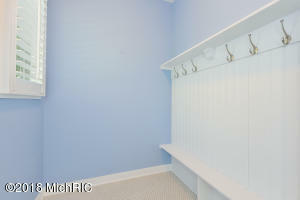 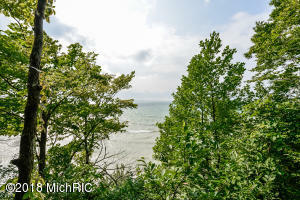 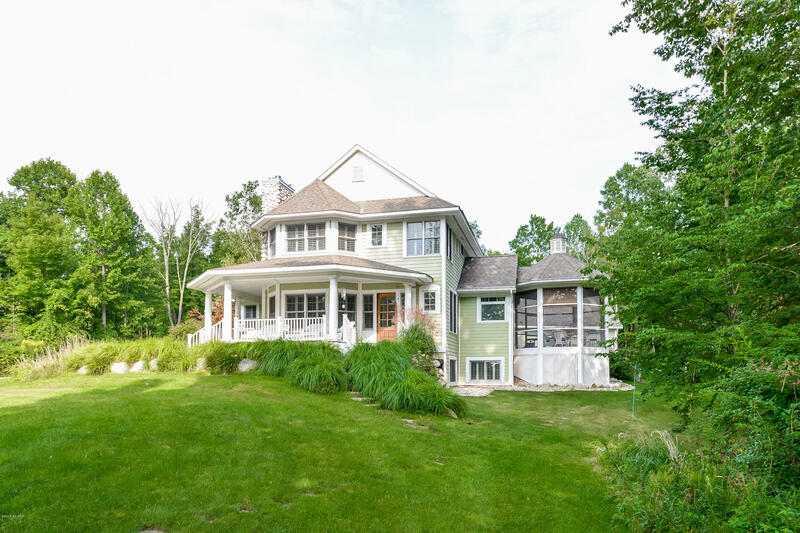 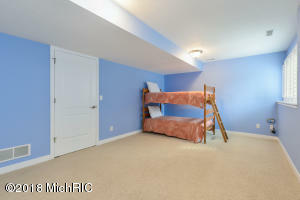 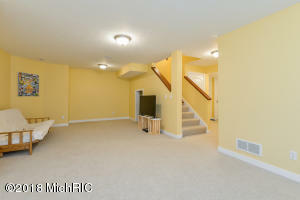 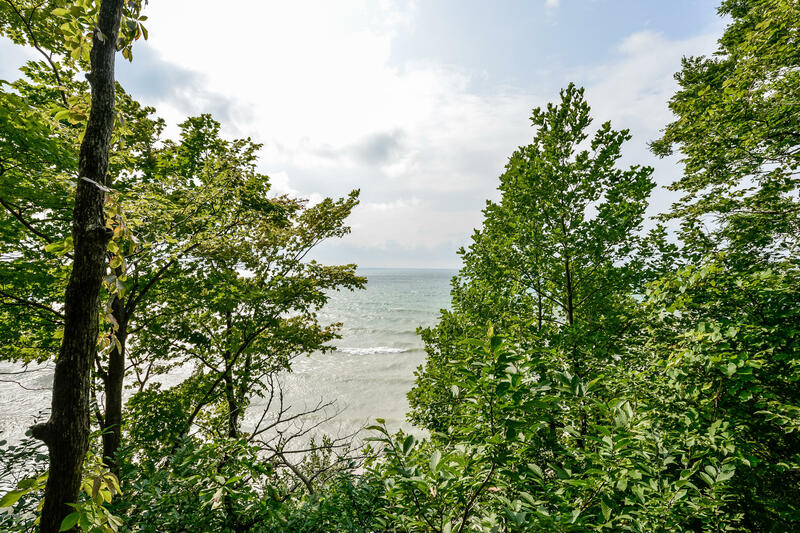 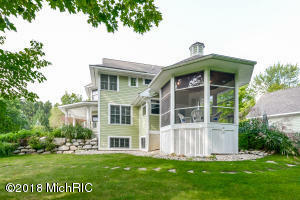 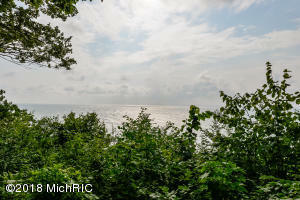 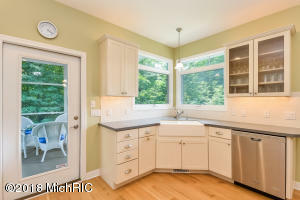 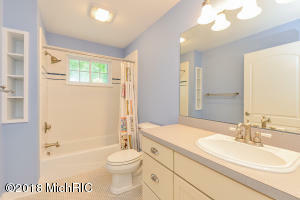 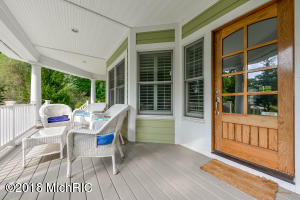 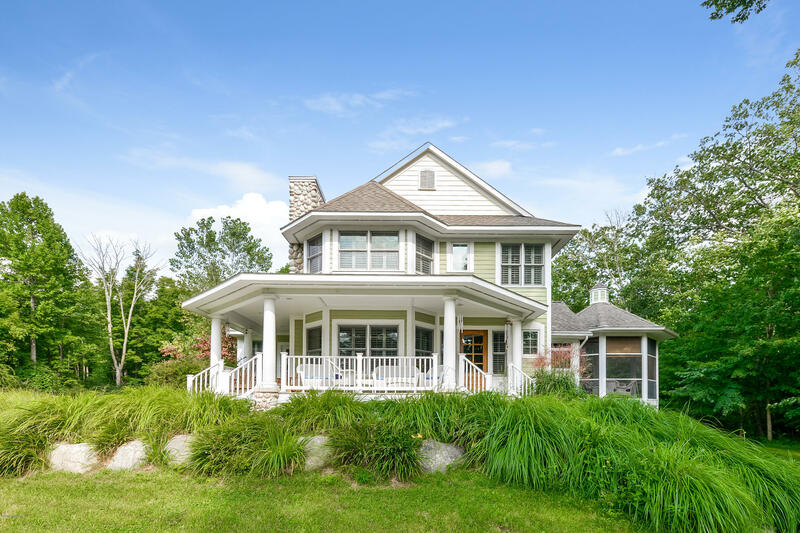 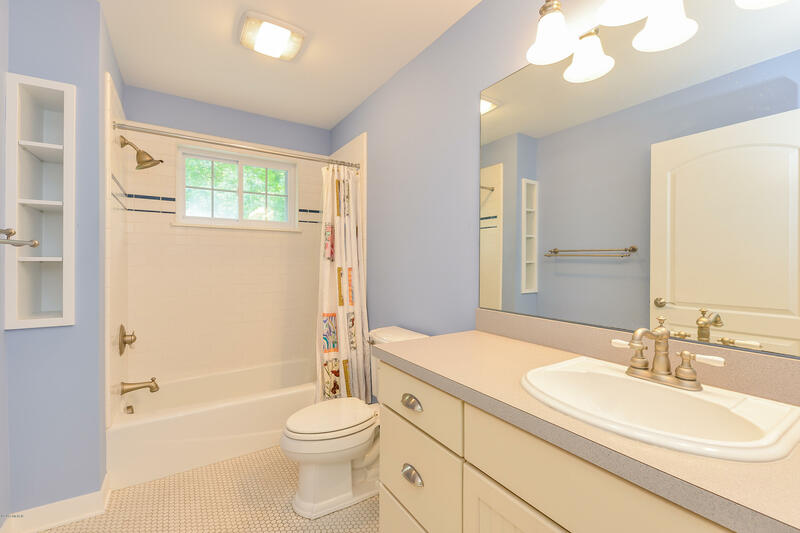 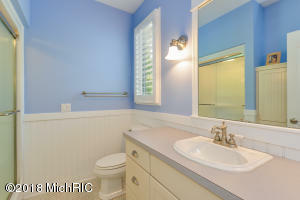 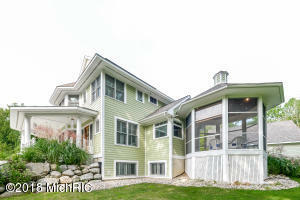 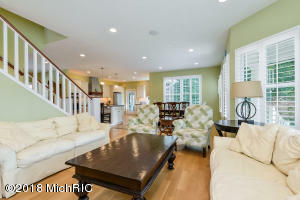 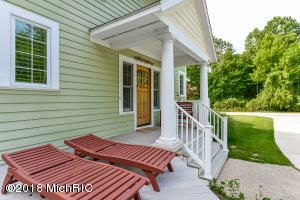 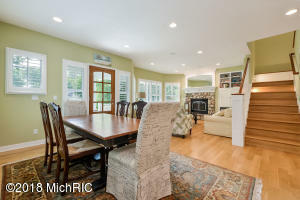 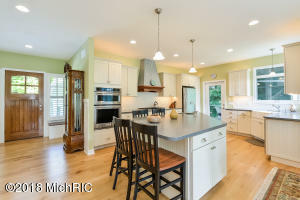 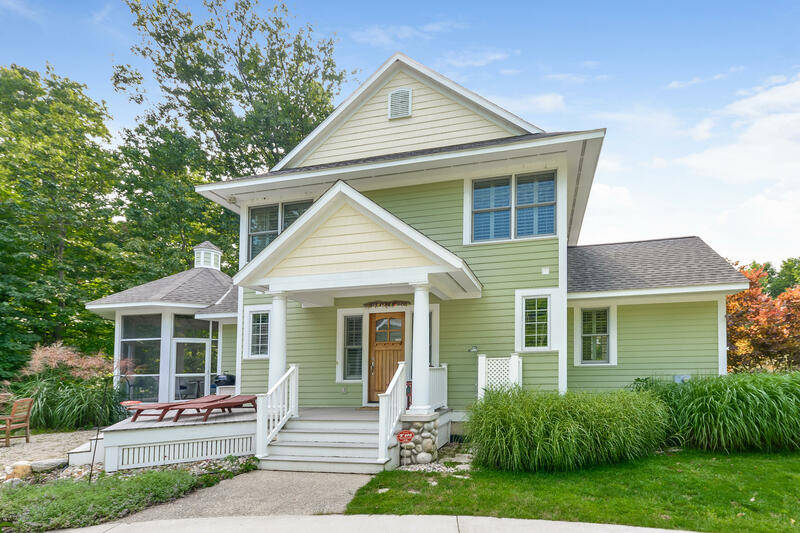 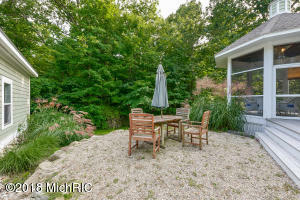 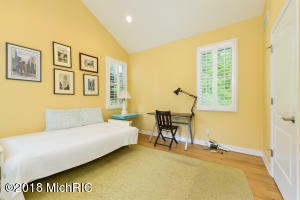 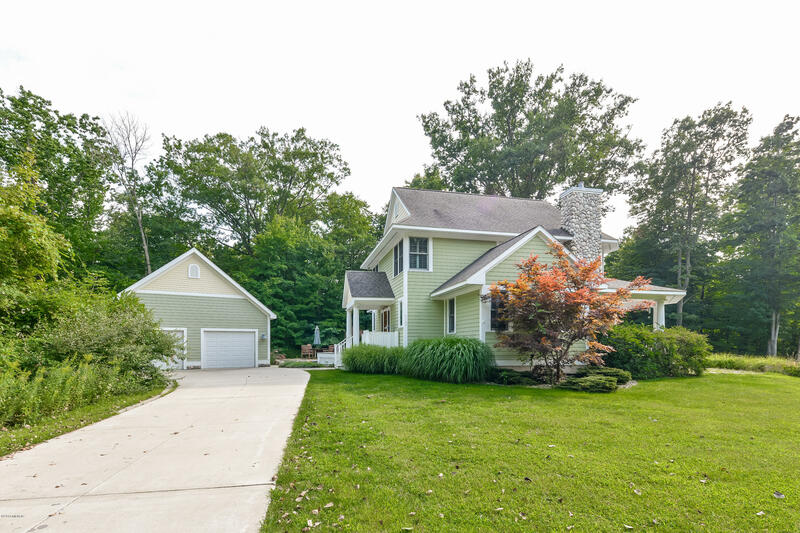 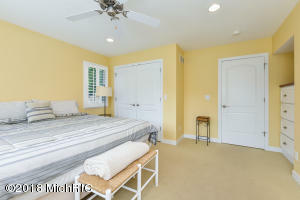 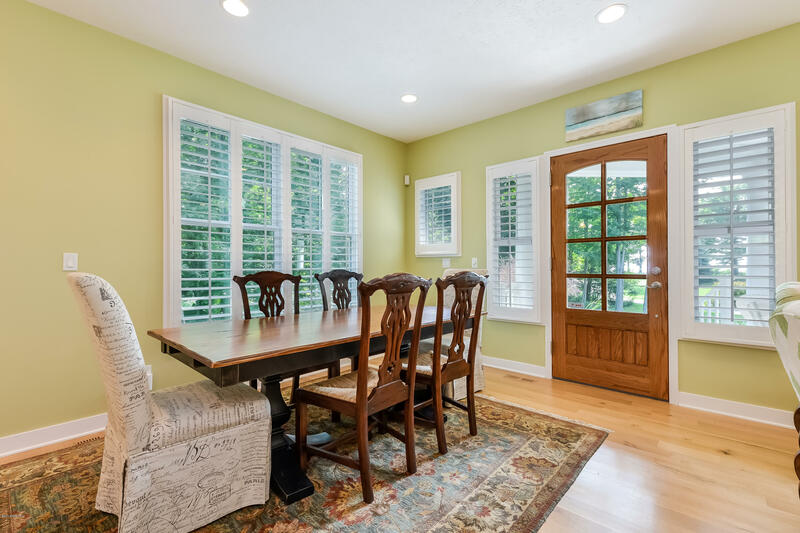 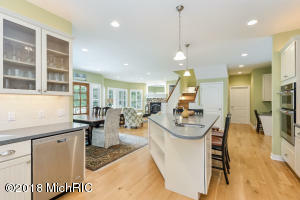 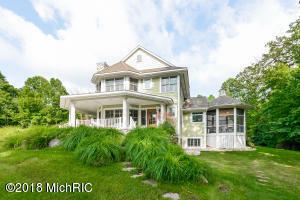 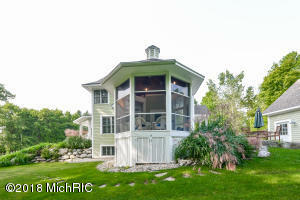 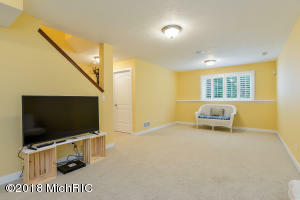 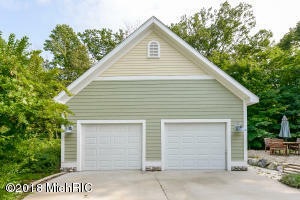 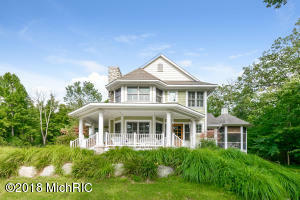 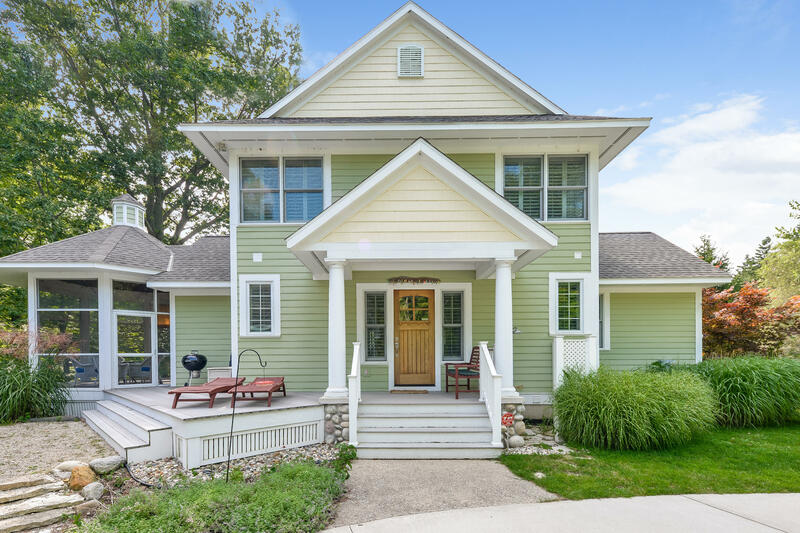 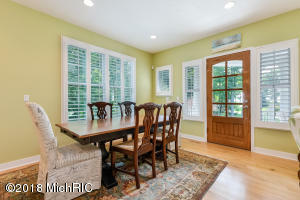 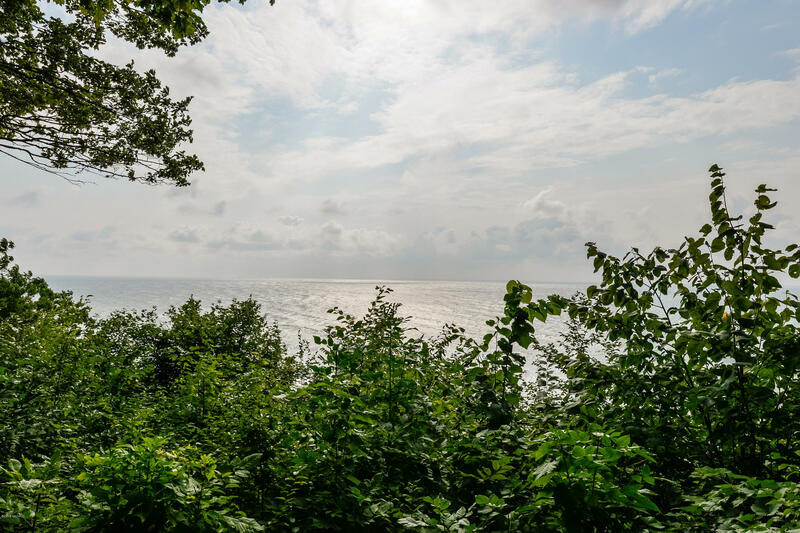 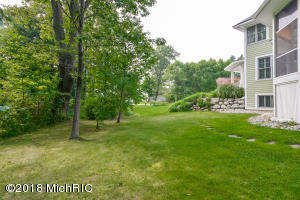 Quaint 4 BR home by ''Cottage Homes'' with just under 300 ft of private association beach frontage on Lake Michigan. 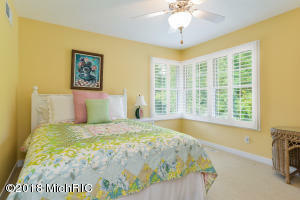 Gorgeous views from almost every room! 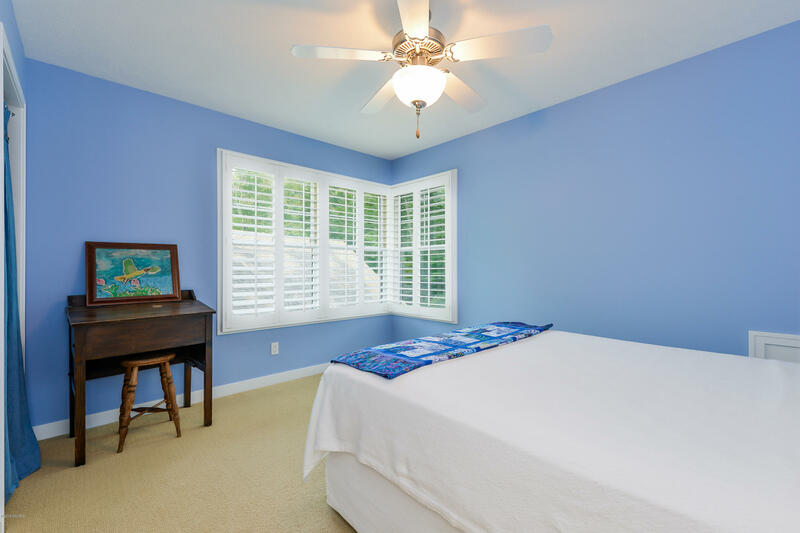 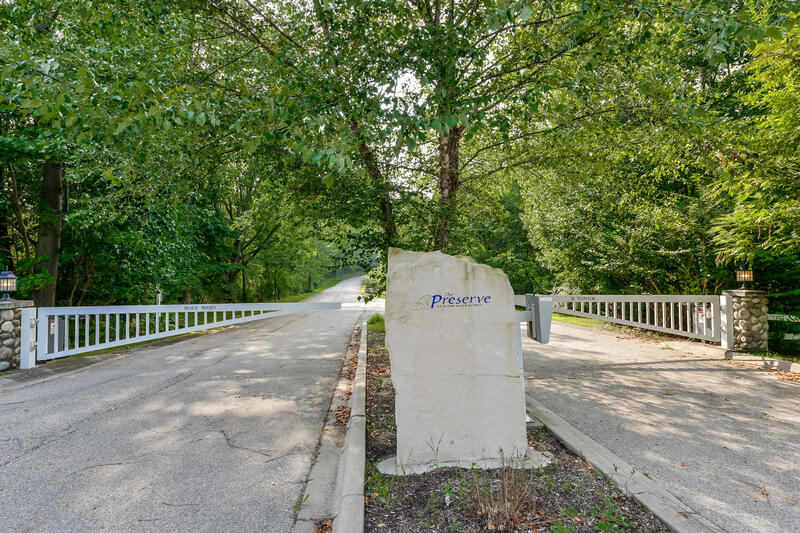 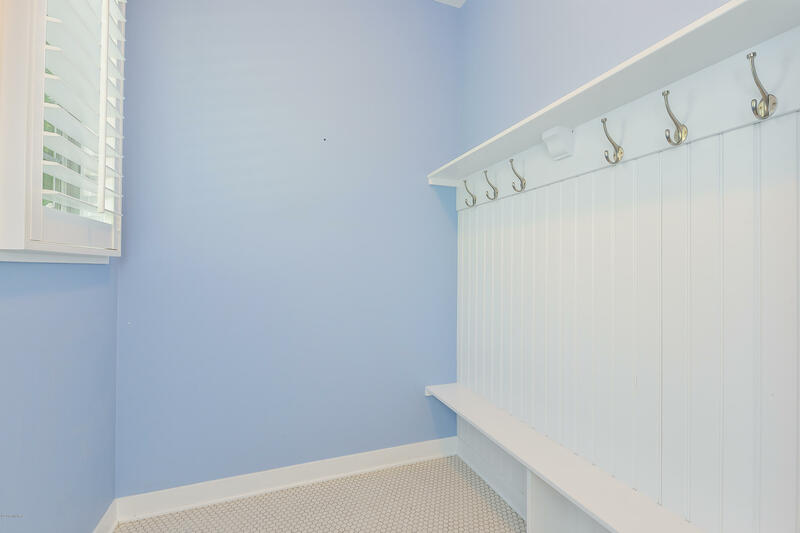 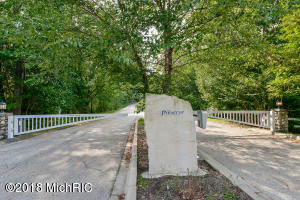 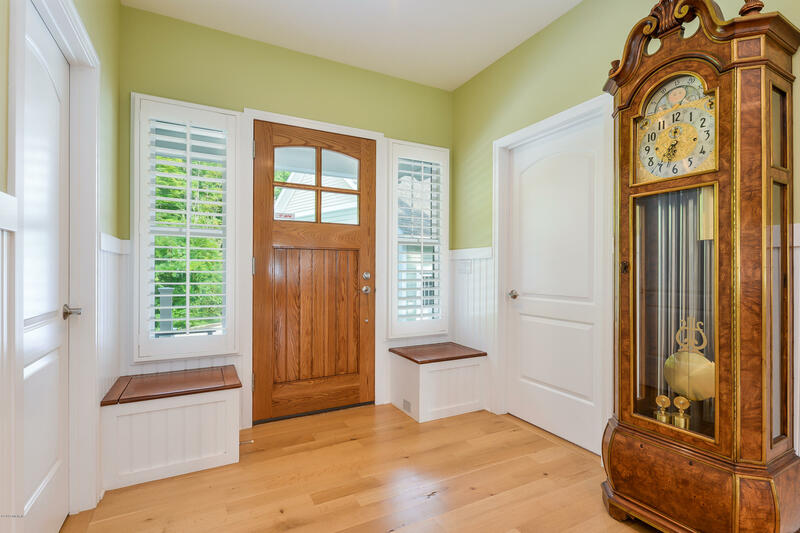 ''The Preserve'' is a gated 27 acre community and has only seven homes. 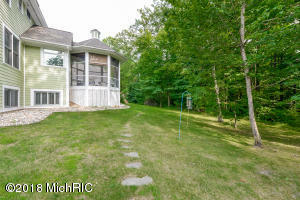 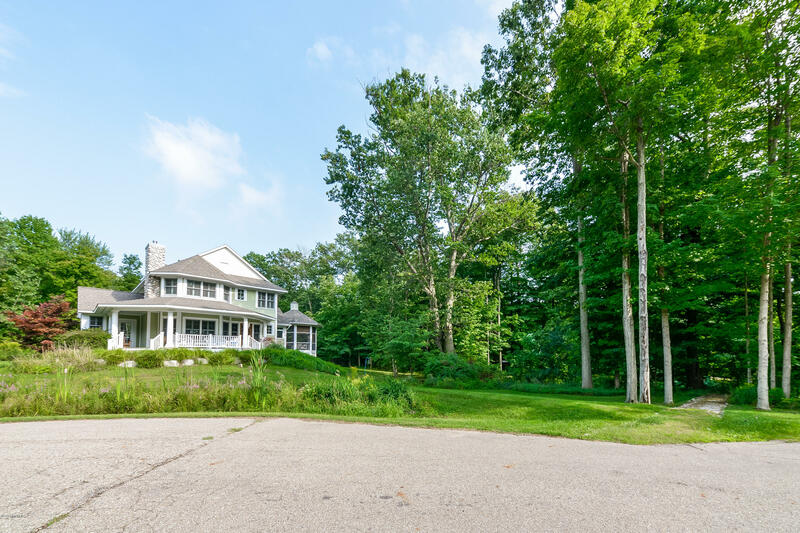 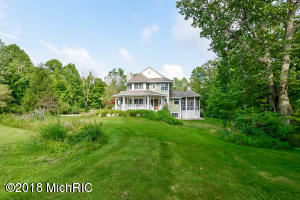 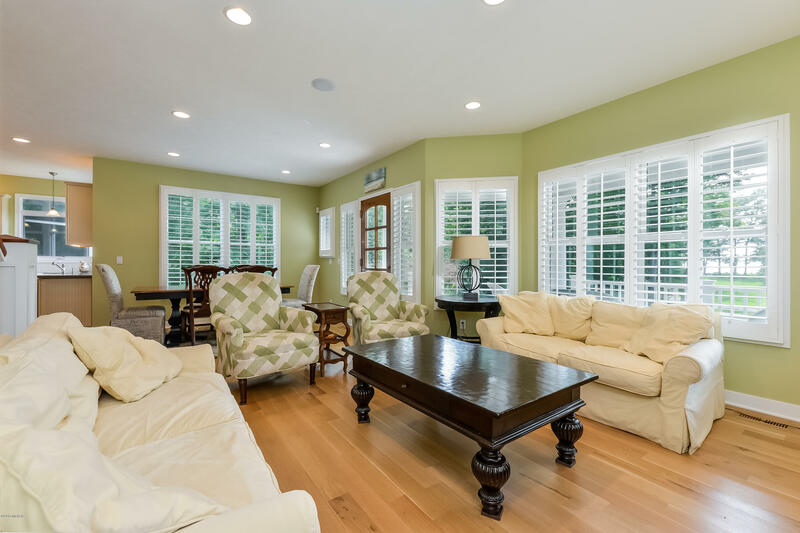 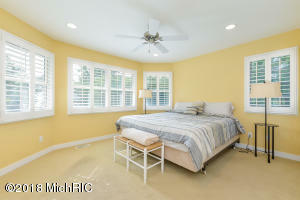 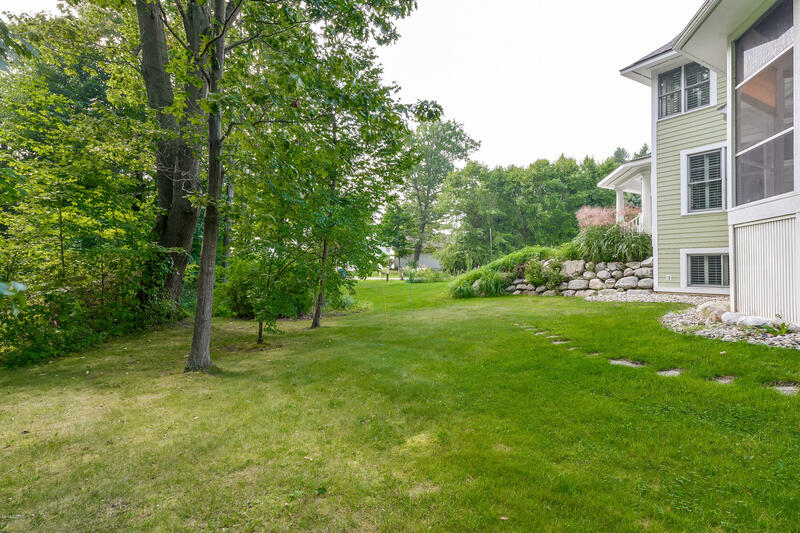 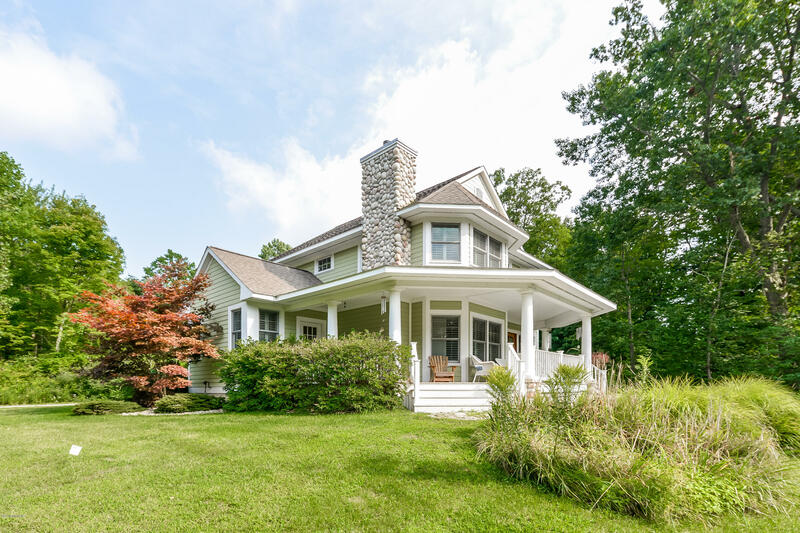 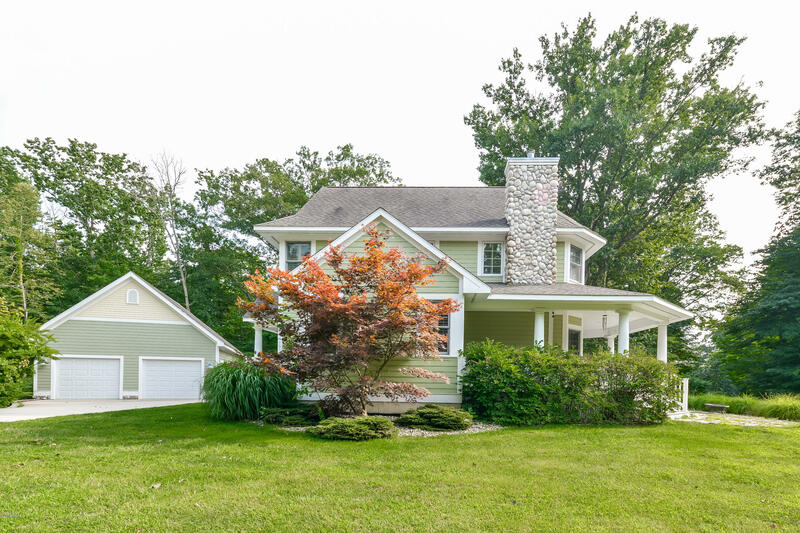 This property is located on 2.5 acres with open living on the main level and beautiful wood floors throughout the home. 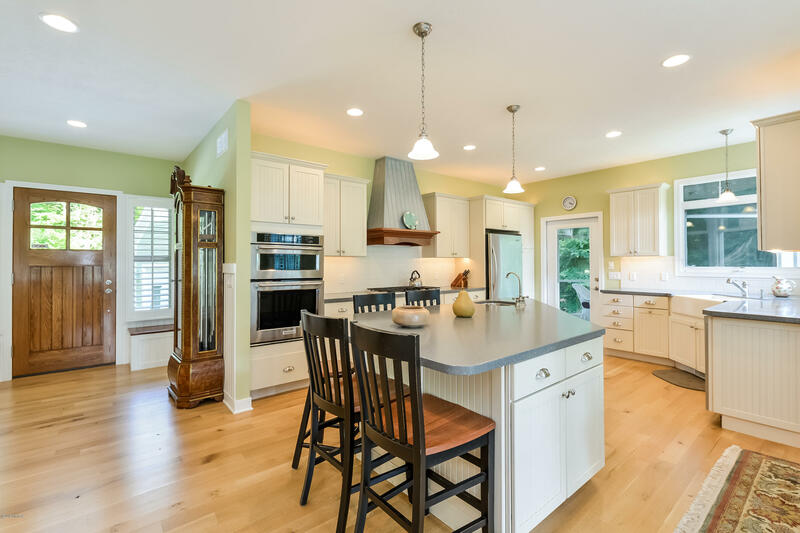 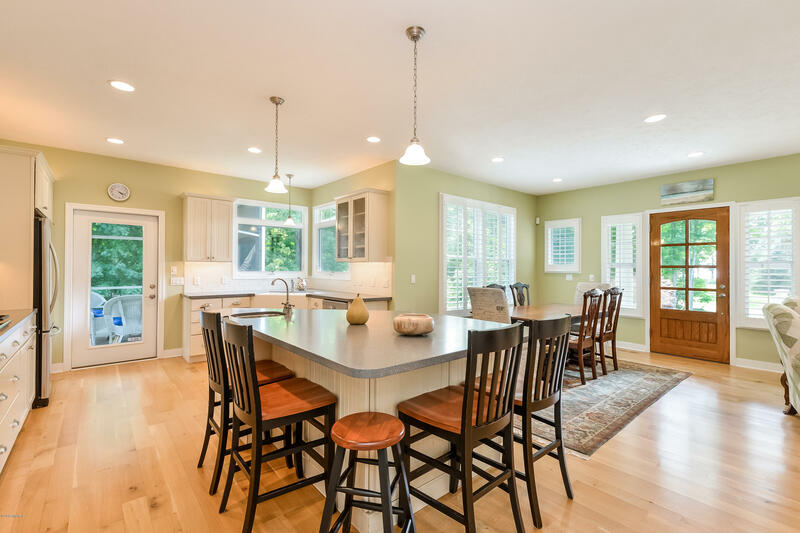 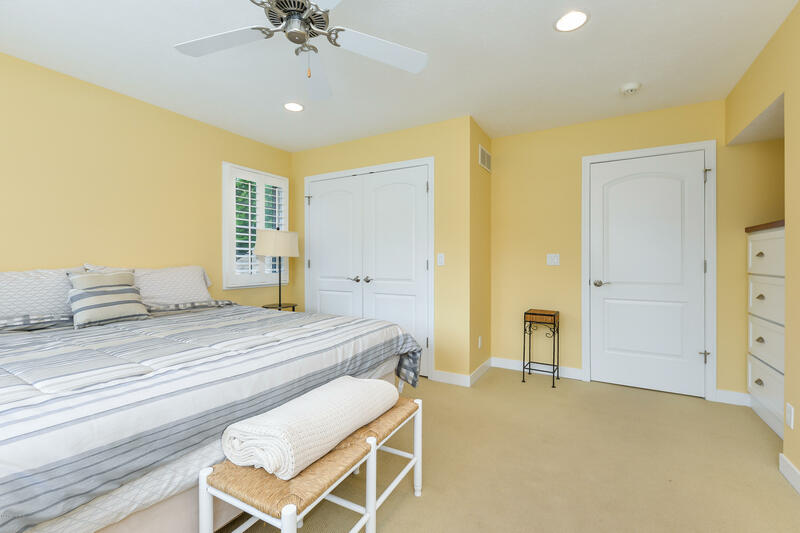 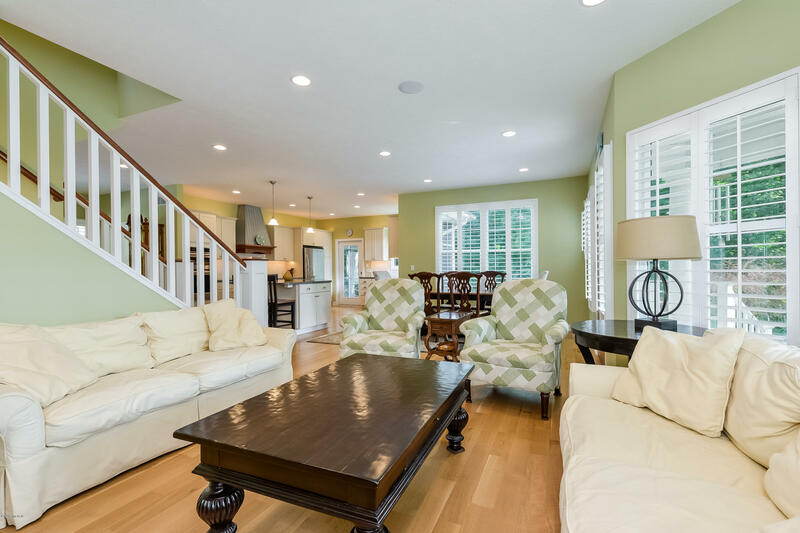 The spacious kitchen has an island snack bar, stainless steel appliances and opens up into a dining space and living room with fireplace to cozy up to on cold nights. 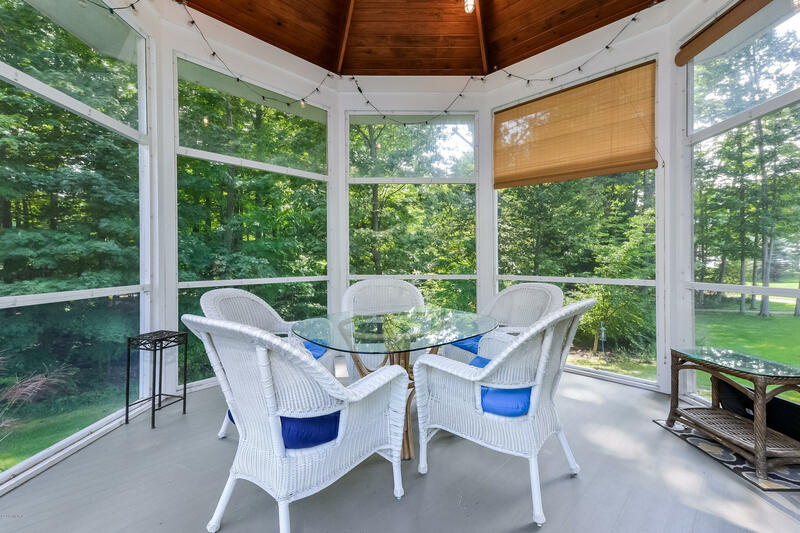 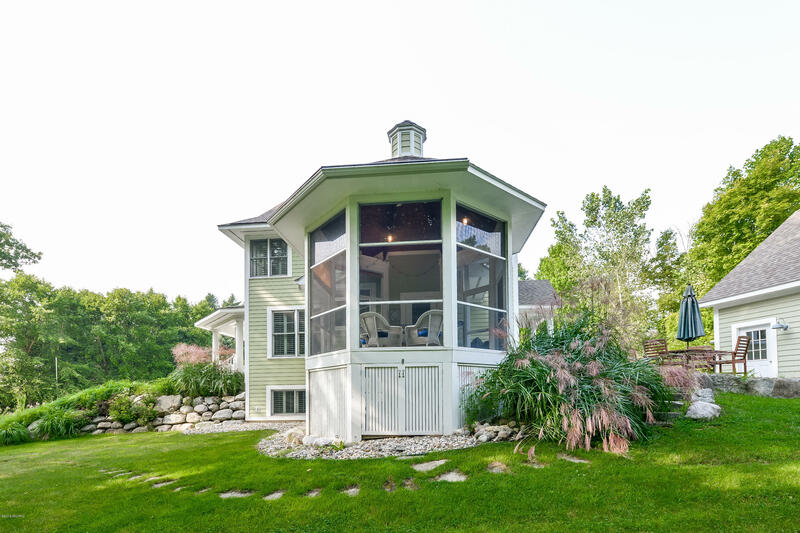 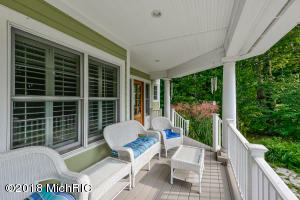 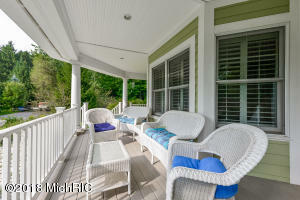 Retreat to the Gazebo screened porch accessed by the kitchen, and enjoy the views. 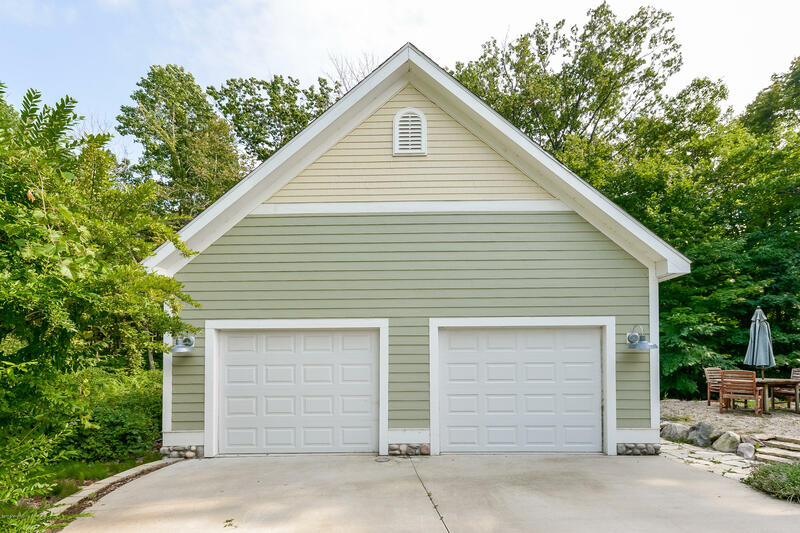 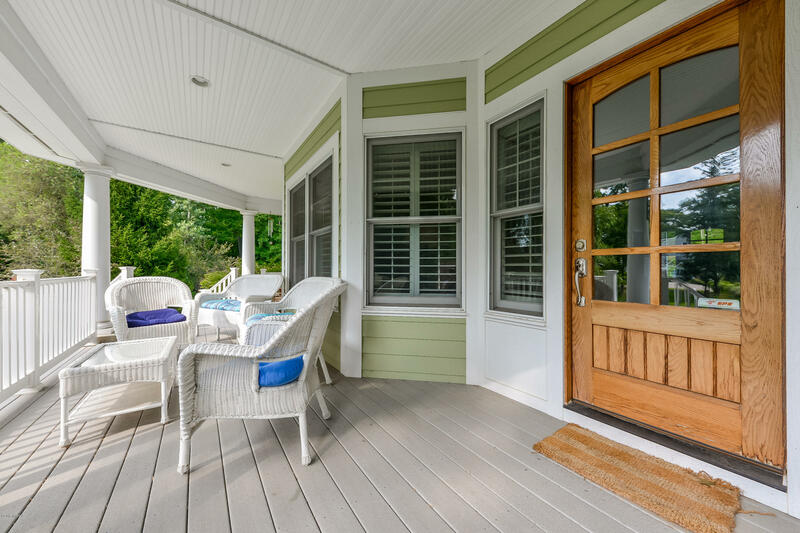 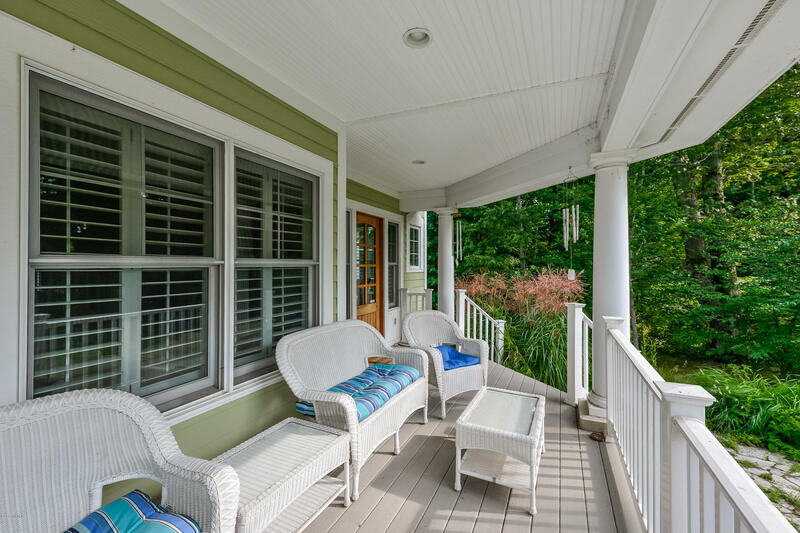 There's plenty of outdoor entertaining spaces available including a covered deck and covered front porch to relax and watch breathtaking sunsets!